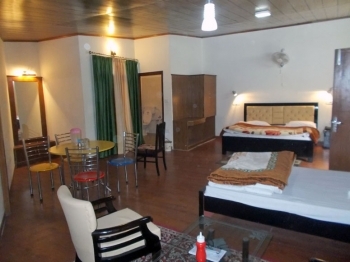 Hotel Moon is beautifully located budget hotel in Nainital at the bottom of highest China Peak. 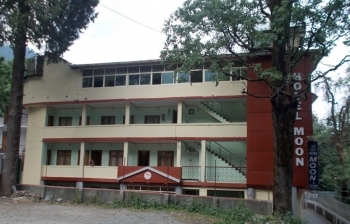 Surrounded by the lush green forest hills in Mallital, the hotel offers well maintained rooms for a refreshing and relaxing holiday in Nainital. Famous Mall Road in Nainital is at 2 km from the hotel and best tourist spots in Nainital such as Naini Lake, The Flatts, Zoo, Ropeway etc are located close to the hotel. All rooms are clean and have basic amenites/facilites at an affordable price. Lift facility is provided by the hotel to reach different floors. Hotel Moon is located on Post Office Road in Mallital, opposite to Administrative Training Institute. The hotel is at 5 min driving from Mall road, Nainital. Nearest railway station at 32 kms in Kathgodam and the Pantnagar Airport & IGI Delhi Airport are at 72 kms and 312 kms respectively away from Moon Hotel. Accommodation in Hotel Moon includes an array of 65 neat and clean rooms available from a single to family suites. Each rooms have all necessary amenities such as Color/LCD TV, attach bath with running hot/cold water and telephone. There are Single, Standard, Deluxe, Super Deluxe, Executives and Family Suites offer by the hotel to serve single, couple and family hotel. The hotel offers a fine dine experience in its in-house restaurant serving Indian & Continental cuisines. Ther is room service available in the hotel and guest can order food at the room.